Norway is famous for its natural beauty and is one of the world’s top spots for outdoor adventures. But there’s one thrilling activity in Norway that you might not have heard of yet – glacier hiking. The country is home to the largest glacier in mainland Europe, the Jostedalsbreen ice cap, as well as many other glaciers up and down the country. They offer a fantastic range of experiences, including challenging climbs among towers of ice, to enchanting journeys into frozen caves. But you’d better act fast – global warming is taking its toll here, as in other places, and Norway’s glaciers might not be around for too much longer. 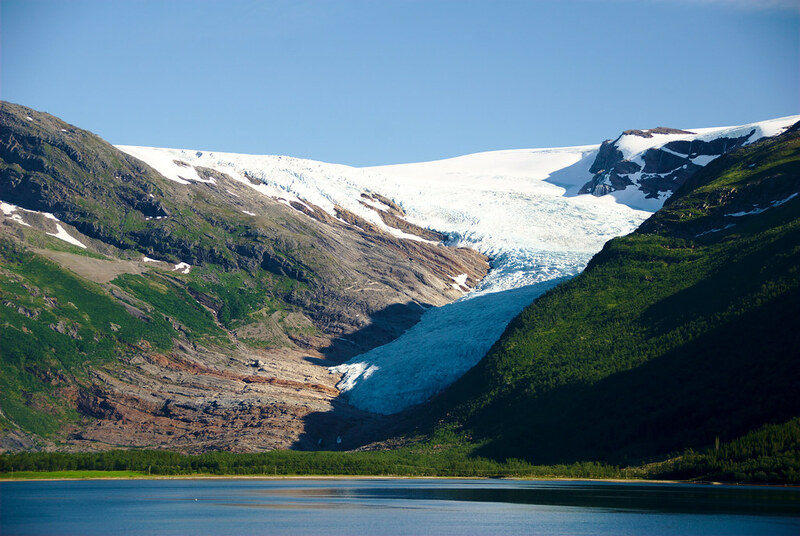 Here’s an introduction into some of Norway’s most stunning glacier hikes. The Bødalsbreen glacier is an arm of the vast Jostedalsbreen ice cap. 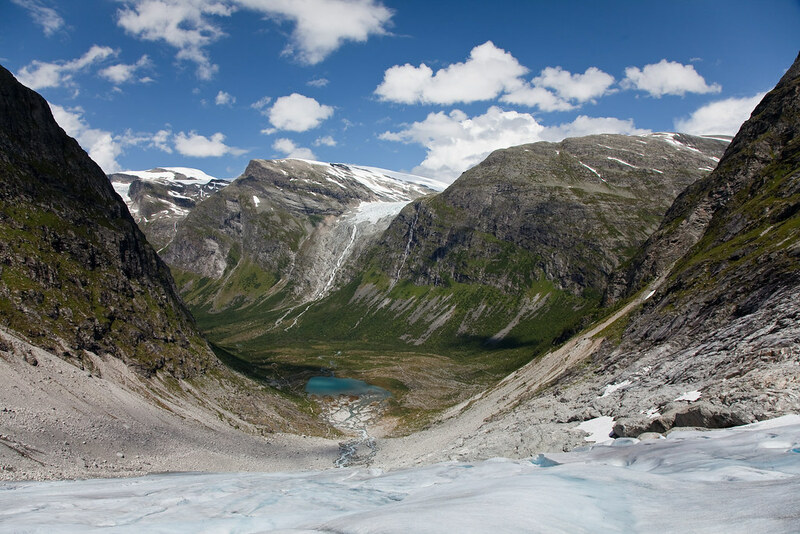 Set within Jostedalsbreen national park, this area offers one of Norway’s most scenic glacier hikes. The hike to Bødalsbreen will take you through the lush, tree-carpeted Bødalen Valley, past quaint dairy farm buildings and rushing waterfalls. You can then begin your journey up the frozen surface of the glacier itself, before stopping to have lunch and enjoy unforgettable views out over the valley below you. Overall, the trip should take around 5-6 hours, with 3 hours spent exploring the ice, and is accessible for those who are reasonably physically fit. You should also pay a visit to the nearby town of Loen, which offers plenty of options for adventurous travellers. Here, you can soar up the side of Mount Hoven via cable car, or test your mettle on the via ferrata climbing route with its swinging rope bridge. The Svartisen ice cap is found within the Arctic Circle, in Norway’s far northern region – a wild and unspoiled landscape that is overlooked by huge mountains. This far north, it’s common to see the elusive northern lights at night-time. And, if you visit at certain times in the summer, you’ll also get to bask in the endless rays of the midnight sun. Svartisen is Norway’s second-largest glacier, covering a massive 370 sq km, and feeding more than 60 glacier arms. 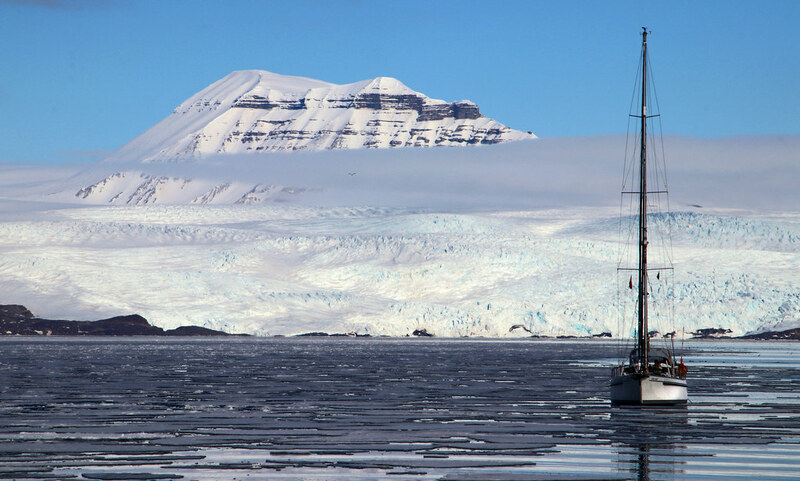 Two of the most popular destinations for explorers are Engenbreen and Austerdalsisen. Both of these glacier arms start near to sea-level, meaning that you don’t have to hike too far to reach them. Instead, you can spend your time exploring the glaciers’ marvellous green and azure ice formations, or peering into deep crevasses on the snowy surface. Hiking trips to the Svartisen glacier usually start from Bodø – one of northern Norway’s largest and liveliest towns. With a large population of artists and craftspeople, a thriving music scene and a pretty harbourside area, this Arctic town is well worth a visit in its own right. The Nigardsbreen glacier, located in the scenic heart of fjord country, is another of Norway’s best hiking destinations. 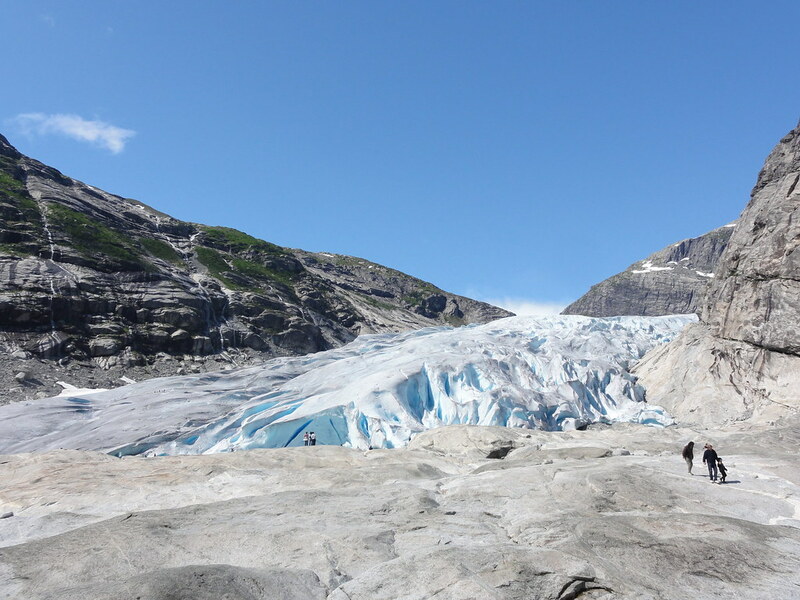 This is also one of the most accessible glaciers for people of varying fitness levels – with some of Nigardsbreen’s guided walks being open to children as young as six. Visitors of all ages will find so much to see here, including enchanting blue ice caves, impressive frozen towers, and even icy tunnels to explore. The Nigardsbreen glacier is set in the sublime surroundings of the Jostedalsbreen National Park, with its many forested valleys and excellent hiking routes. Nearby also lies Sognefjord, Norway’s largest fjord. Here, visitors can enjoy a range of fjord cruises, kayaking trips, and other outdoor adventures that you’ll remember for a lifetime. Folgefonna is Norway’s third largest glacier, and one of the country’s southernmost ice caps. The glacier lies at the edge of the scenic Hardangerfjord in Hordaland county. This massive ice field offers a range of possibilities, from calming walks in the frozen landscape, through to more challenging ice climbing adventures. While glacier hiking at Folgefonna, you’ll also be treated to stunning views out over the Hardangervidda mountain plateau, home to Norway’s largest national park. Some of the most popular tours start from the Fonna Glacier Ski Resort, reached by road from the fjord-side town of Jondal. Tours usually take between 5-6 hours and can be adapted to a range of difficulty levels. You can also explore the region around Folgefonna, including stunning landmarks such as Trolltunga and Preikestolen. For the real intrepid explorers out there, one of the best things to do in Norway is to visit the Lars glacier. This imposing ice mass is found in Svalbard – a remote cluster of islands halfway between the Norwegian mainland and the North pole. This is a land of polar bears, walruses and whales. It’s also a pristine wilderness, where vast mountains lie under thick coats of ice and snow. Hiking on the Lars glacier is one of the best ways to experience this otherworldly landscape. The glacier is home to some particularly magical ice caves, where you can experience hanging icicles and sparkling snow crystals. Guided tours of the Lars glacier often include other fun arctic activities, such as riding on a snowmobile, or even dog-sledding with your very own team of huskies. A glacier hike in Svalbard can also be combined with a visit to the archipelago’s main town of Longyearbyen. This colourful harbour is home to art galleries, restaurants and even one of the northernmost breweries found anywhere in the world. Glacier hikes on Svalbard’s Lars glacier usually take around 3-4 hours and should be manageable for anyone of average physical fitness. Before you go, here are a few tips on keeping safe. Glaciers can contain deep crevasses and other unexpected hazards. For this reason, it’s always advised to travel with an experienced guide who knows the glacier well. 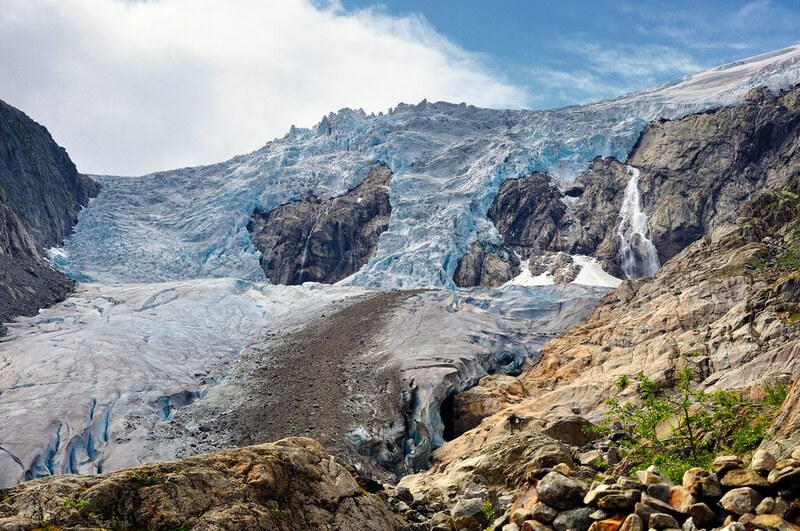 Glacier hiking typically requires special equipment, such as crampons, spiked footwear and an ice axe. This equipment will usually be provided to you by your glacier hiking tour guide. Alongside this hiking equipment, it’s also wise to bring along other items such as warm clothes, a water bottle, energy-rich snacks, sunglasses, sunscreen, a map and compass. Explore Norway’s amazing glaciers, hike the famous landmarks around them, and discover Norway with one of our hand-picked trips with the best local hosts and guides.